Home / Opinion / British national: "What’s so wrong with being a diehard Duterte supporter?" 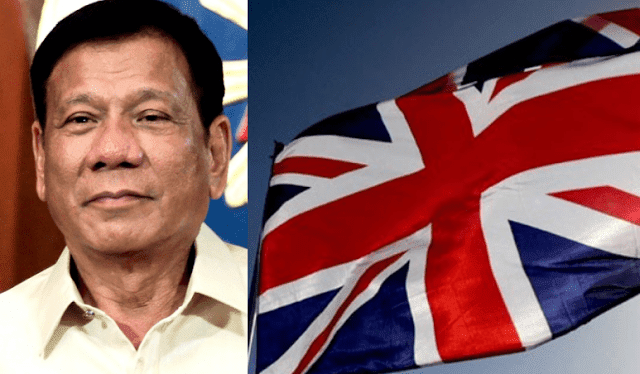 British national: "What’s so wrong with being a diehard Duterte supporter?" Malcolm Conlan, a widely known British national who is a Diehard Duterte Supporter (DDS), took offense when he read some posts on social media insulting and degrading DDS. He felt that that was an unfair description and so took it upon himself to clear their reputation and set the opposition’s mind straight. According to Conlan, many people are saying that being a DDS is the same with being a lower class person, or someone who is uneducated and stupid. He says that this is unfair because they are generalizing DDS when in fact, he says that these people, himself included, comes from different sectors of society with different social statuses. “Diehard Duterte supporters come from all classes of society from upper to working class,” Conlan said. He adds that it is even more degrading because the working class, which comprised a big chunk of the Duterte voter block, he says is the backbone of society as they do everyday jobs that is necessary for society to function properly. He continues on to say that not only are they important to the country in terms of labor, but they are also important in the role that they played in shifting the political atmosphere of the Philippines. Conlan demands that the DDS be respected and not insulted as they are also intelligent beings. “Please show some respect to DDS supporters worldwide and don’t consider them as being any less intelligent or less important than anyone else,” he said. More than that, Conlan proudly announces himself being a diehard Duterte supporter and that he will continue being loyal to the president of the Philippines. I have recently seen some posts on social media negatively categorising DDS supporters in the same category as so called “lower classes” or even referring to DDS as stupid!!! Like we are in some way less educated or less valued? 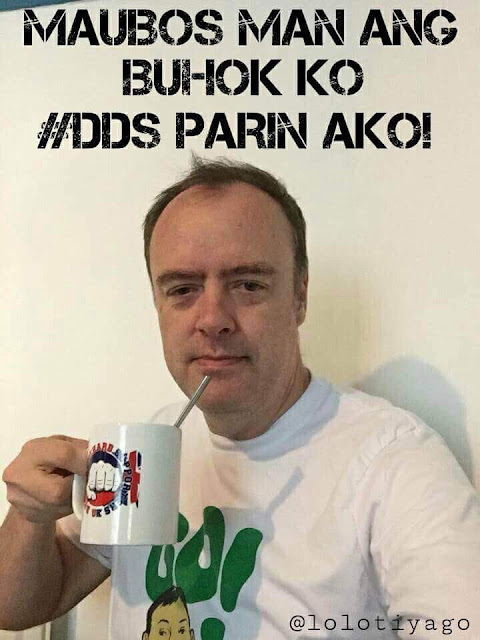 Firstly, just to set the record straight, there are DDS supporters from all walks of life. From all sectors of society. From doctors and nurses to engineers, pilots, mechanics, seamen and many other professional fields and yes, cleaners, nannies, shop workers too. Diehard Duterte supporters come from all classes of society from upper to working class. By the way, I even hate the definition of lower class, it’s almost discriminatory if used in a condescending manner, if any class system is used, working class would be a better description. Without the working classes by the way, doing the every day jobs, like cleaners, drivers, nannies, labourers, traffic wardens, store workers, caretakers etc, the country would grind to halt. 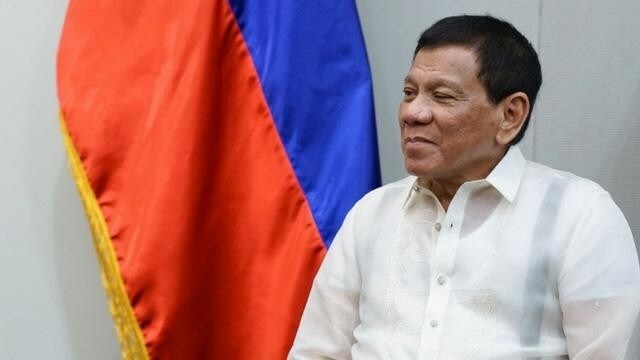 Many people across the globe truly admire and respect President Duterte regardless of their social status in life or whether they went to university or not. It’s about passionately supporting the president forevermore, I guess if this makes one a diehard supporter, what’s so wrong with that anyway? If it wasn’t for the social media influence of Die Hard supporters and bloggers as well as Netizens, it’s quite possible the country would still be controlled by the elites, oligarchs or yellows? Please show some respect to DDS supporters worldwide and don’t consider them as being any less intelligent or less important than anyone else. Finally, I am incredibly proud and honoured to consider myself as a loyal supporter of President Duterte and will continue to be for as long as I am alive. Hope you will also join me in being proud to tell the world that you support a president who is most likely, the greatest leader the Philippines has ever had by using this hashtag.